WINTER SPRINGS, Fla. - March 18, 2019 - PRLog -- The founder of DrunkenRaisins, Larry Wright, was interviewed by the famous American Broadcaster, Jim Bohannon on America in The Morning news program syndicated by Westwood One. This America in The Morning program was aired on numerous talk radio stations on 26 January and had plenty of good information for people suffering from arthritis or inflammation pain. Larry Wright shared his own story about how he suffered from arthritis in his hands and how gin-soaked raisins helped him overcome the pain associated with the condition. Gin-soaked raisins have been used as a home remedy in parts of Europe for over 80 years. Their increase in popularity over the years has been due to their effectiveness and flavor while dealing with arthritis and inflammation pain. Having enjoyed the benefits of gin-soaked raisins first hand, Larry wanted to make them available to other people like himself. This America in The Morning installment then had Larry talk about how he started making gin-soaked raisins for sale. He fine-tuned the recipe by looking for the right Gin - something that was strong and had the right flavor. He chose Jumbo Golden Raisins for their size and deliciousness. Larry also spends a lot of time selecting the right honey and also imported high-quality cinnamon to make sure that the blend had ideal anti-inflammatory properties along with the right flavor so that everyone can enjoy them like a dessert. The program ends with Larry talking about the dosage of gin-soaked raisins and how much time they will need to show results. 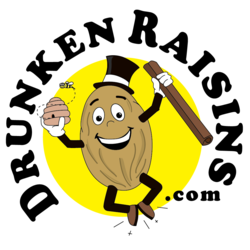 DrunkenRaisins is a Florida local owned business providing gin-soaked raisins to people all over the United States. The business has been around since 2010 and caters to the needs of people looking for gin-soaked raisins for health purposes as well for their recipes. To learn more about DrunkenRaisins, visit https://www.drunkenraisins.com.